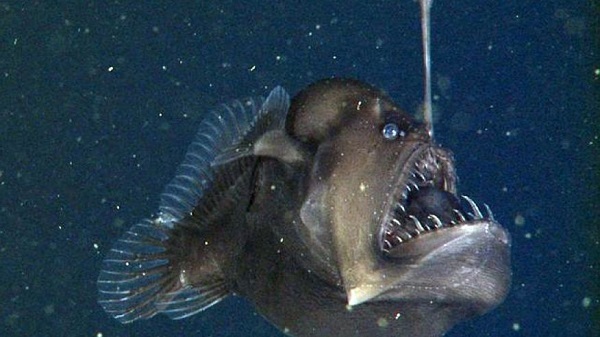 Prestigious scientists from Monterey Bay Aquarium Research Institute (MBARI) have recorded at about 600 meters deep under the water of California what might be the first video of a strange kind of abyssal anglerfish, alive and in their own habitat, whose appearance has given them the name of ‘black sea devil’. Pictures of this Melanocetus, of 9 cm in length, were taken through the Ricketts Doc ROV robotic vehicle . There are only half a dozen previous recordings of abyssal rapes, as the researchers say. MBARI team came up with the elusive predator fortuitously when working with the robot. It has such a terrifying aspect that seems like something taken out of a nightmare. The bright light at the tip of the ‘fishing rod’ that protrudes from the fish’s head point (it is clearly seen in the video) is actually a glowing lure. 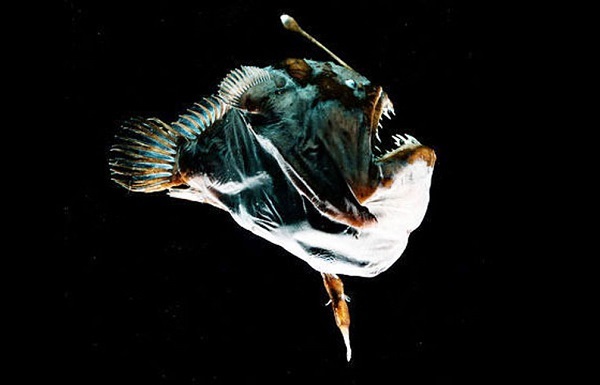 Only the females have it, and they use that light to attract their prey, sometimes two or three times bigger in size, in their deep, dark habitat. The males are much smaller than the females and lack this lure, so they are poorly equipped to get fed. Therefore, they try to find a female to mate as soon as possible and bind their body to hers as if they were a parasite, what leads them even to get some parts of the body atrophied cause they are no longer used. As a matter of fact, they will not need them anymore. She already does everything.